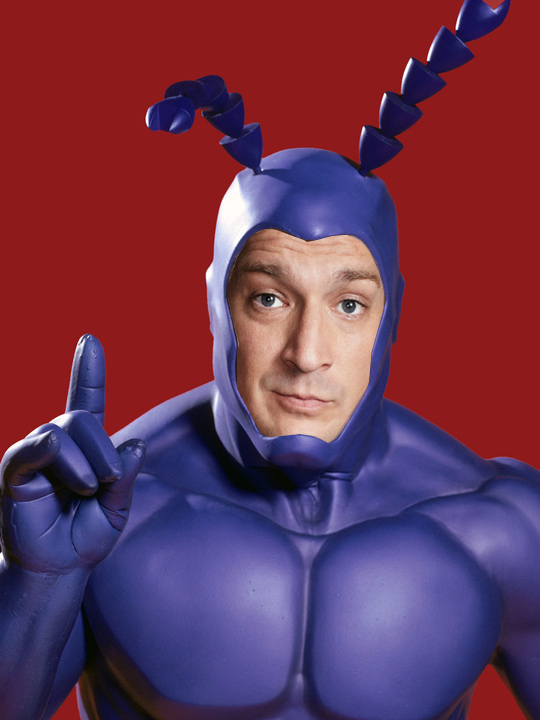 Idle Hands: Live Action Tick May Finally Return! The reports began in 2014, believe it or not. 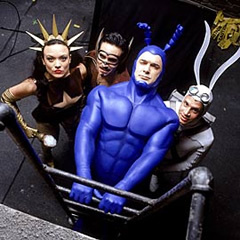 There was interest in resurrecting the live action TV show based on the cult favorite comic book created by TV writing phenom and all around hysterical guy, Ben Edlund. It was on..then off then on then off...no one really knows how much of that was wishful thinking but now, Deadline is reporting IT'S ON AGAIN!! It seems Amazon is set to reboot out big blue line action hero with Ben Edlund on board as writer and executive producer (yay!) We are told Patrick Warburton is sitting out this round (boo) as casting is underway for the starring role. To date, only Griffin Newman has been cast as the Tick's sidekick, Arthur, and Valorie Curry as his sister, Dot Everest. "The blue suit-wearing Tick is recovering from a memory loss. He ends up re-teaming with Arthur to fight evil. Newman’s Arthur, played in the Fox series by David Burke, had been labeled as a schizophrenic because of his statements that evil plans to rule the city, and no one believes him until he runs into Tick. Curry’s Dot Everest is a nurse who loves her brother Arthur to death and worries about him." Sooo....who could possibly equal and perhaps even surpass the brilliance of Patrick Warburton as The Tick? DREAM CASTING!! GO!